I spent 10 years of my life as a volunteer & vocational youth worker… & know firsthand the very real pressure that exists in wanting, needing to be ‘cool’ in the eyes of the students that one is working with. This afternoon after work, I went for a 4 mile run – nice & invigorating, especially after the sun the went down. (Read: invigorating means It was icy-cold.) Fortunately, I made sure to dress for the weather, meaning that my little ears, hands, & feet were all ably cared for & amply covered by the appropriate runners-wear. The only thing that really suffered was my lips – the cold caused them to get pretty chapped by the time I was done. 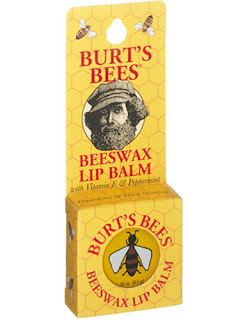 Usually, I carry a tube of “Lip Service,” (Vanilla Ice flavor if you must know,) but today, it slipped my mind, so by the last 1.5 miles, all I could think about was getting to the car, (the Ex, the car theBean usually drives) & the tube of Burt’s Bees that I’d seen in the center console. It made me fast. I got to the car & applied the Burt’s Bees liberally. Ahh. Relief. Had a couple of places to go. 7-11 for a Double Gulp fill up. USPS. When I got to Sev- (which of course is the way all the Cool Guys refer to 7-11), the people in line at the soda fountain gave me a look. A double take. Enough that I noticed. I felt like the guy behind the counter was trying not to look at me. Hmmm. As I paid the $1.19 for the refill, a guy that had just come in stopped & said, “Nice!” & then kept walking. People are weird. At the Post Office, it was more of the same. What is UP with people today? Got home & got ready to take a shower… happened to glance in the mirror on my way to bathing (no, it wasn’t an Innerspace, “Tuck Pendleton, gazing in the mirror moment,”) & saw that I looked… shiny. Glittery. Shimmery even. My lips were rosy. And sparkly. Uh oh. I re-clothed & went to the Ex, to the center console where the Burt’s Bees was… Turns out, I HAD applied the familiar Burt’s Bees. But it also turns out, my favorite lip balm company also makes a product known as “Champagne Shimmer.” And all the afternoon’s funny looks make sense. Last night I helped to officiate at my first liturgical wedding. My cousin Justin was married – the girl he married is Catholic, & wanted to get married in the church she grew up in… her CCD teacher (Deacon Bob) & I were chosen by to be the officiants, with both of us representing the ‘faith traditions’ that the blissful couple had grown up with. About a month ago, Deacon Bob & I got together to work through the ceremony, & also for a crash course for me – so I could know what elements of the ceremony were a part of the requirement of having it in the Catholic church. Also, we needed to work through the ‘who does what part?” It fell to Deacon Bob to determine that, as there were parts that he had to do in order for the ceremony to be authorized. It was very enjoyable – & was really glad to be able to have gone to The Abbey with TheMoses & Brother in March – a lot of what I experienced there served as great background for my plunge into the world of liturgical wedding ceremonies. The vows, rings, pronouncement of the couple, & the homily had to be done by Deacon Bob, as he is authorized & recognized by the Church. Homily is a fancy word for the Speech. I could do just about anything else – & did. I even was given an opportunity for Reflection – which Deacon Bob explained is a lot like the homily (speech) except is done by me. :) The irony of how the different words & calling things by different names to fit the structure was not lost on either of us. We laughed a lot. I got to lead a responsive prayer – which means I read the text, then at the end of my part, lift my right hand up, palm up, to signal that everyone in the room could/should repeat the phrase, “Lord, hear our prayer.” I spent a lot of time practicing this – for many reasons. 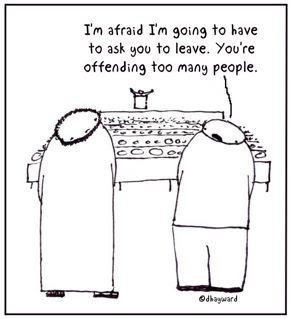 #1, this is a wedding, & this part of the liturgy is very meaningful to a lot of people. Even if its different for me doesn’t mean I can’t participate & see & know the presence of God in the middle of it. #2 – I practiced because I’m a dork, & knew that I had to in order to get past the giggles that inevitably show up at times like this. Like when me & the boys were at the Abbey, we all 3 giggled, not irreverently (at least in our eyes) to hear the cantor’s sing-song voice leading the prayers & Daily Office… And, my brother Johnny & I used to copy the Benedictine Monks chanting in Latin that we listened to & observed on TV – we didn’t know the words, so it came out like, “Hee-mo-SHAAAAAAAR-mo…” Still almost giggled yesterday – nice to share that memory with my parents, too. The wedding was happening at St. Teresa’s, a really beautiful place. It was my first time in the new building – & man – it was sweet. And what I didn’t know was that all of the “reflection” & “prayer” parts of the ceremony had to happen at the AMBO. Had no idea what that was… until DB pointed me to the pulpit. Hmm. Got it. There were songs, readings from the Bible, a homily, a reflection, prayers, & some more prayers – & it was done. Then, to the reception. Everything ended up nice & fun, as theBean, theWeez, & I went through McD’s for 3 double-cheeseburgers. The beauty of it is that it is on my diet. Hooray! Plucky’s Pixie Post reminded me of a ‘drive-by’ funkiness that I experienced not too long ago. 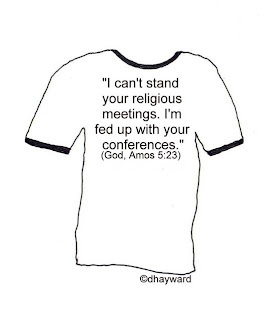 A guy, in Christian leadership, that I see about 4 times a year came up to me after one of the events that we both happened to be attending. All of my lifetime interactions with this individual had been at most benign, at best innocuous. He told me that he needed to talk to me. As we were the last two people in the room, I thought that where we were was as good a spot as any – & couldn’t for the life of me figure out what would prompt this private conversation.